Avengers Infinity War is on Netflix now and we've watched it over and over in anticipation of Avengers 4! In that vain, here's a look at the time we were in Haiti with Thanos (a.k.a. Cable and Josh Brolin), Jimmy Jean Louis and Maria Bello. Art Basel was rockin! We did a lot during the Basel week. More on that soon. For now, here's our annual Basel video for your watching pleasure! 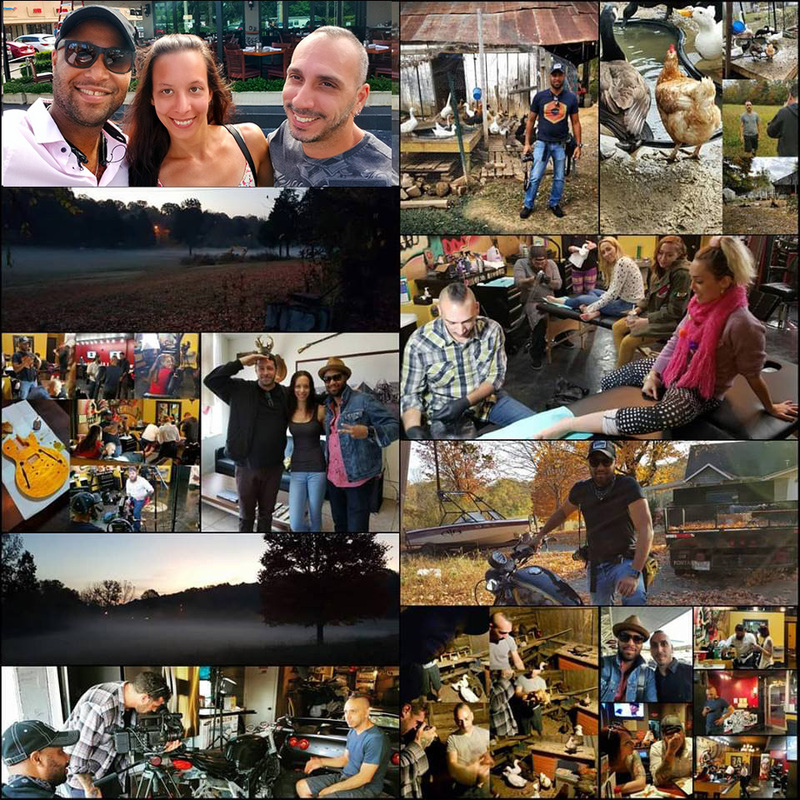 We’ve had many in the ranks that have been a part of the project, Daryl Hannah, Michael Chiklis, Tommy Flanagan, Jimmy Jean Louis, JoMarie Payton-Two Dirk Jenson’s Jesse Johnson and Emmy Award winning actor Jordi Vilasuso, but Julian was the first star amongst the others. He will be missed, but will live on forever in the lives he touched and as our first voice. RIP brother Julian, you were one of a kind. We're super excited about about the premier of this project, a short film collaboration with our project The Beach Chronicles and musician Jared Dylan! Premier October 19th-Tower records in Dublin, Check out the teaser below! Kevin Sharpley is the president and CEO of Kijik Multimedia Inc., a full-service production company with specialties in integrated, branded and convergent media and development of in-house projects. He is also executive director of CineVisun TransMedia, a nonprofit organization that supports the independent film, media and entertainment industry. His range of work includes films, television, documentary, commercial, music video, multi-media and event video production. In addition, he is an actor and well-respected artist, having shown and performed his work in many exhibitions and shows throughout South Florida. My company has many projects that are social in nature, that have outreach and visibility and inclusion built in. Projects such as documentaries on Haiti — one of my favorite countries in the world — and what has transpired there, artists and some of their struggles and triumphs, an animated piece we did that was narrated by the great director David Lynch for his foundation which outreaches to many underserved populations, even one of our bigger projects “The Beach Chronicles” that has a comic book, podcast, live action [and] animated components and feels like a more commercial project is actually about marginalized populations and deals with issues such as veterans [with] PTSD, homelessness, alcoholism, the foster care system and many issues that face the world. It’s my hope that in producing these types of stories, that they can affect others. My grandfather — he obtained his Ph.D. in a time when it was challenging at best for a person of color to obtain that educational achievement, he was self-actualized having achieved his dream of becoming a bishop in Michigan over 77 churches and built a multimillion-dollar church that continues to serve the community over profit to this day, and most importantly he raised 10 children with a focus on family and love which has permeated itself as a central theme in the extended family of grandchildren, great grandchildren and great, great grandchildren. Martin Luther King Jr. — his was a life of sacrifice, of love and determination against all odds. He was the head of a movement that involved thousands, but his voice connected and united the cause and helped to create a wave that resonates to this day. I started my company in 2000 as a multimedia company that served three purposes — to create storytelling experiences for clients, and for the company with in-house projects across a spectrum of entertainment; film, television, animation, web and more. There was no mobile outreach then, but what I knew was that media would be consolidated and that there would be a device that would encapsulate that consolidation and that there would be a screen you could hang up on your wall to beam your media from that device (just ask the University of Miami Vice Dean of the School of Business at the time, I pitched it to one of his classes there while I was a student and it didn’t go so well with the students in the class back then). So really, I designed my company in a way that actually works best in today’s environment. There are two sides of my company; branding and entertainment, with multi-media storytelling as a centerpiece. There was really no term “branding” back then, but that’s essentially what my company does. We do all of the regular branding things; figuring out a client’s representation in the marketplace, then logo, web, social, SEO, any video (branded film, documentary, commercial etc. ), we put on and cover events, collateral material (posters, hats, flyers), industrial design, anything our clients need to tell their story really. 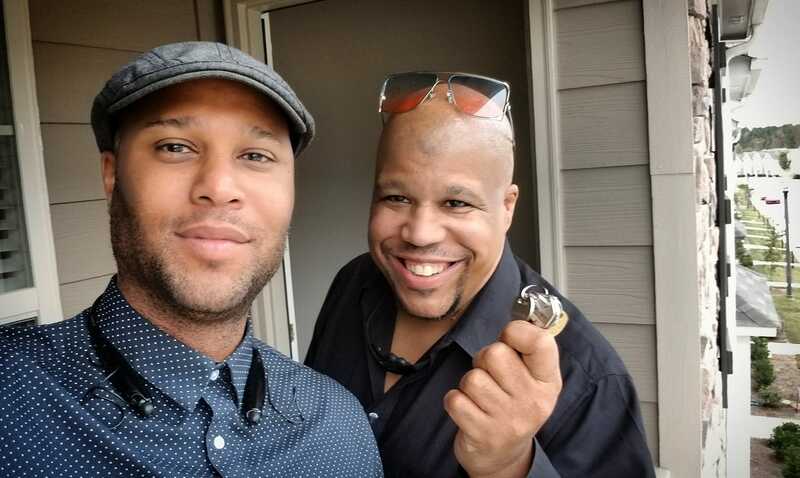 We’ve had and have had clients across the strata, U.S. Air Force, Bacardi, clothing company’s, insurance, nonprofits, musicians, individuals and more. Expose yourself to as much as you can, I’ve lived in many places, Detroit, Chicago, Miami, Kentucky, Atlanta, Italy, Africa, New York and have traveled a lot, California, Tennessee, Barbados, Nicaragua, more, and in my travels met a lot of people. I’ve always tried to get out as much as I can, which has not been the easiest thing for me, I’m naturally an introverted person. But in my experience, if you don’t get out, you can’t meet people that can help to take you where you want to go as you can help others, whether socially, technically, professionally or otherwise. Learn as much as you can from your experiences, that knowledge can help when you’re moving from circle to circle. And learn as much as you can educationally, whether that’s learning from others, school, books, articles, research, whatever way you can that works for you, soak it up. Talk about your problems, don’t keep it inside. Seek advice. If you don’t have someone you trust to talk to, reach out to someone that you think might listen that you feel is a good person, you might be surprised that there are many that want to help. There is no shame in asking for help. One of the best interviews we've had. With Academy Awawrd winning writer Tarell Alvin McCraney. Look for the interview here coming soon. Here's a three clip sampler from the animated short film version of our project The Beach Chronicles. This one features voice over from the amazing actor Jimmy Jean Louis of TNT's hit show CLAWS and one of our favorite actors Tommy Flanagan from Gaurdians of the Galaxy two and Sons of Anarchy in studio doing his thing! We did this is for our client C. Brian Hart Insurance. Cash Hartman struts with the best of them, Geico lizard, Progressive box, watch out! A piece we did for the Astrella fashion line featuring Tommy Flanagan, Rami Jaffee of The Foo Fighters, super producer Ran Pink, Astrella and a surprise special guest. 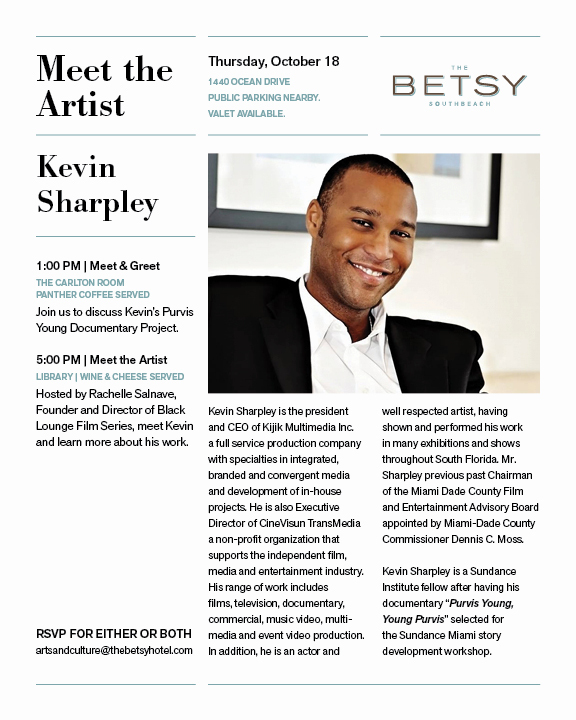 Meet KijiK President/CEO Kevin Sharpley during his Art Residency at The Betsy Hotel. Here's some pics from a show we've been developing in Nashville. Tattoos (yes that's Miley Cyrus getting a tattoo), a farm, cars, boats, motorcycles, so much fun! The Beach Chronicles COMIC ONE and COMIC TWO are now available at Alex Chiong Tattoo Studio in North Miami! 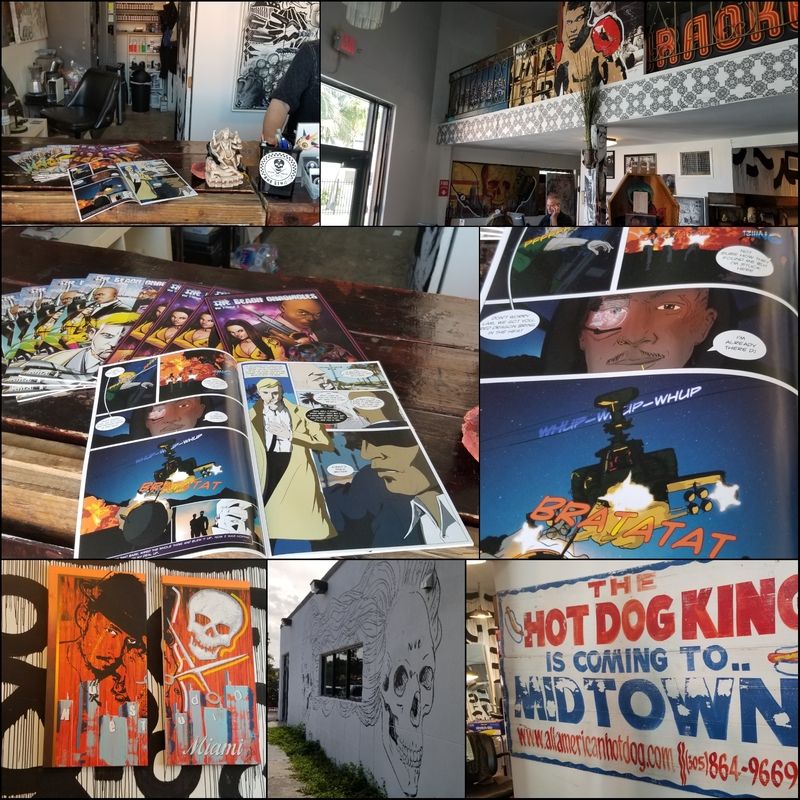 The Beach Chronicles COMIC ONE and COMIC TWO are now available at SWEAT Records in North Miami! 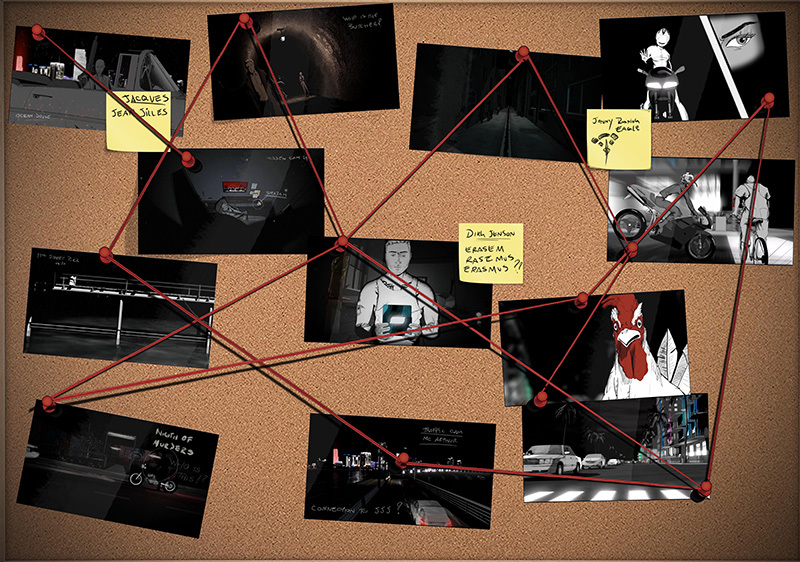 Check out the new video of Jared Dylan featuring animation and visuals created by KijiK! It's a collaboration with our project The Beach Chronicles and it'is blowing up just like the explosions in the video, over 100,000 views in a week! An excerpt from our upcoming documentary Nou Sove. in the clip- Jimmy Jean Louis, Josh Brolin, Diane Lane, Maria Bello, the beautiful children and people of Haiti. 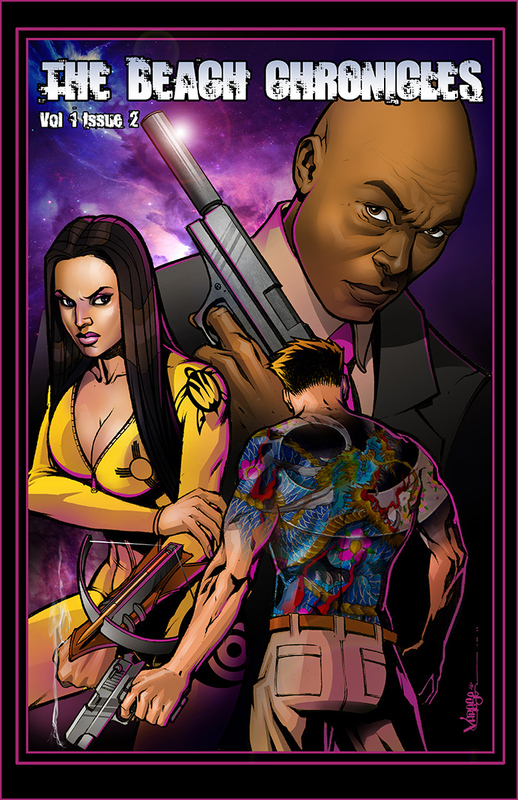 The Beach Chronicles COMIC TWO is now available at Nue Studio in north Miami! TBC Comic Two features the character Red Dragon based on D Jones of Nue Studio. Stay tuned for the upcoming video and hear his incredible journey to being one of the top in his field and becoming a character in The Beach Chronicles. The comic also features the remarkable actor Jimmy Jean Louis as Jacques Jean Jille and rocker Rami Jaffee of the group The Foo Fighters as Stingray the Assassin, snag the comic, go to the website and listen as you read. Blacktasticon was amazing. Thank you all that purchased comics and everyone at the Con that made it happen! Here's a sample of KijiK President Kevin Sharpley on a panel there. See you at the next one! June 16 and 17! We hope to see you there! We love David Lynch, Academy Award nominated director of Mullholand Drive and one of our favorite shows "Twin Peaks". What we also really love is the continuation of "Twin Peaks" on Showtime after 20 years! And David Lynch is an excellent actor with a phenomenal performance in the new series. It was great to work with him on this piece, where he did the voice over and the other performers provided some of their greatest hits! Peter Gabriel, Dave Stewart of Eurythmics, MC Lyte and Tyler Glenn of Neon Trees. What was really great is Mr. Lynch's notes. This is from David Lynch himself! And with that, the logo was changed the next day to reflect the point where the logo connects with the world. Certainly we heard the notes in his distinctive voice. One of our proudest moments, thank you Mr. Lynch! The next phase with our project The Beach Chronicles, the new short film for the new concept album Consequence by Jared Dylan. Jared becomes Kid Dylan, with Rami Jaffee of the Foo Fighters reprising his role as Stingray the Assassin and hitmaker Ran Pink as Mr. Pink the deal maker. Here's a first look featuring his first single the Can't Stop Remix by John Gibbons. 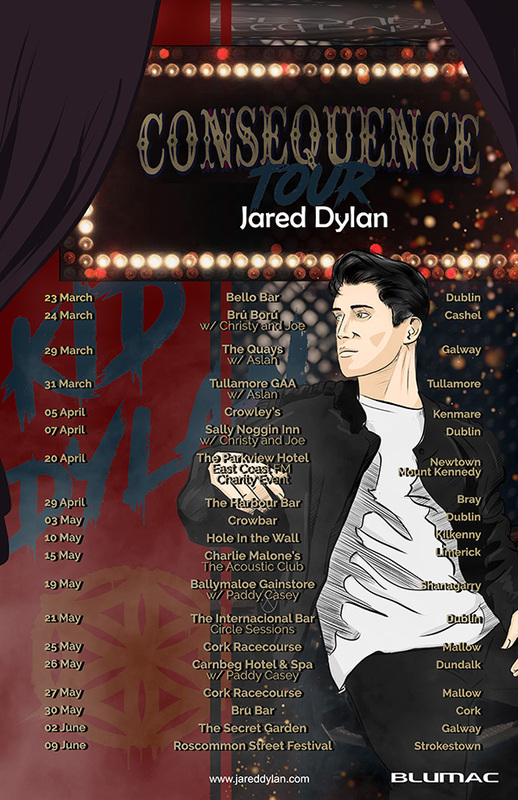 If you happen to be in Ireland you don't want to miss Jared Dylan! KijiK did the poster art and work for the upcoming campaign with a cross promotion with our project The Beach Chronicles. 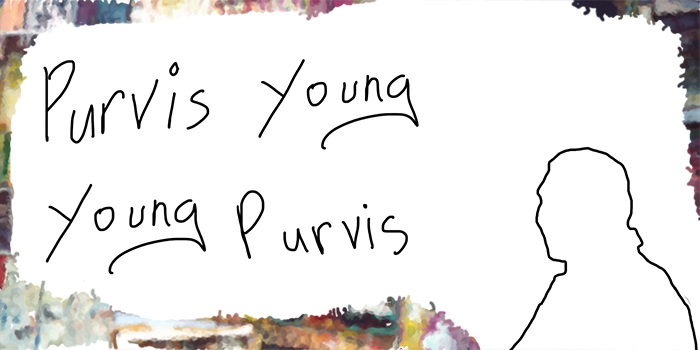 Catch him on his rise to stardom! Here's an interview on NBC 6 In The Mix with KijiK CEO Kevin Sharpley speaking about The Beach Chronicles new debut of the TBC Virtual Reality and comic two/podcast versions featuring actor Jimmy Jean Louis and rocker Rami Jaffee of the Foo Fighters at the Miami Film Festival at the Miami Film Festival and a special new character in the project Ki Nichton based off of a real boy with an inoperable brain tumor. We were touched by him and his story of wanting to be real life super hero, so we made him one in our comic. He's our hero. Ki is working hard to battle his tumor, we hope becoming a super hero in our comic helps too. Our project The Beach Chronicles is at The Miami Film Festival March 10th-17th. We've partnered with New Discovery Media on the Virtual Reality debut, a scene we took from the animated short version of the projec that features the voice talent of Daryl Hannah. We're very excited because we're also debuting our Comic two with the companion podcast in which you can listen as you read. The podcast features Rami Jaffee of the Foo Fighters, superstar actor Jimmy Jean Louis, Emmy Award winning actor Jordi Vilasuso and more. It's all at the Miami Film Festival-Virtual Escape at the Tower Theatre in Little Havana starting at 7:00. 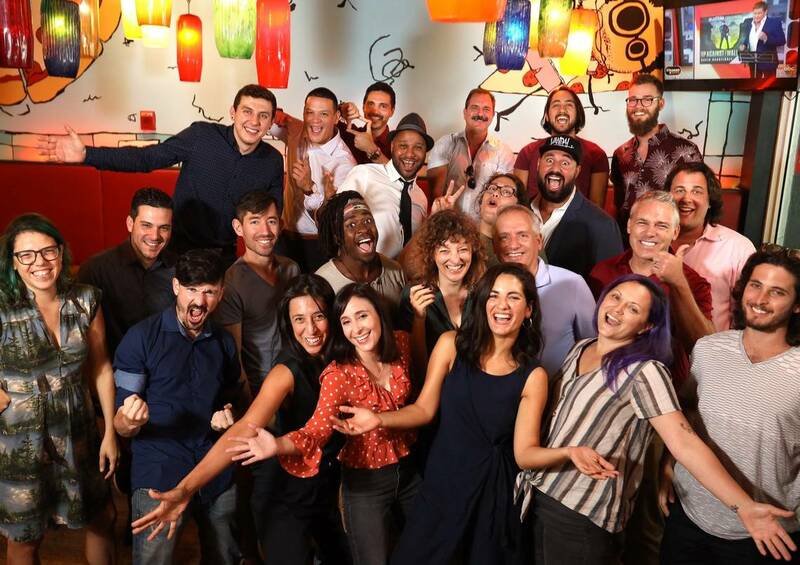 Kijik Multimedia served as the Florida production unit for a an incredible documentary about one of the biggest plays in history, West Side Story. Kijik provided production services in Miami and Daytona with camera crews, logistical support, arranging travel, hotel and locationsl. 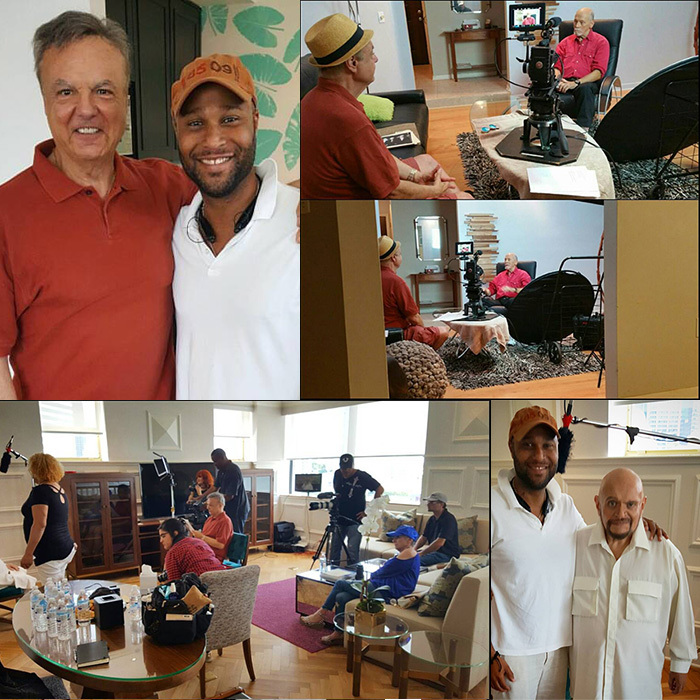 It was an honor to work with Tony and Carbonell award winning producer/director Dennis Grimaldi (in the top left photo with Kijik President Kevin Sharpley) who has worked with some of the biggest actors in film and theater; John Goodman, Mathew Broderick, Mia Farrow, Brian Dennehy, Carol Burnett, Alan Alda, Candice Bergen, Marcia Gay Harden, Gilda Radner, Jeffrey Wright, Stacy Keach, Dame Diana Rigg, Anjelica Huston and Martin Sheen Elisabeth Moss and so many more. 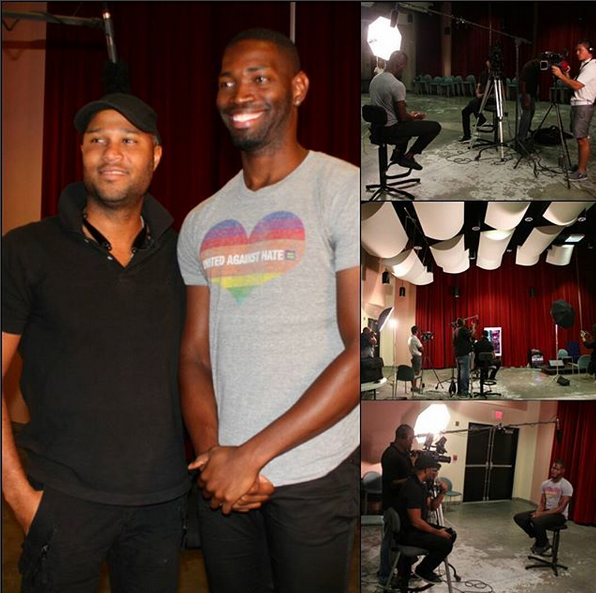 Actor/producer/writer/director/choreographer David Winters was Interviewed on the Miami shoot ((in the bottom right photo). Nominated for ten Emmy's, winner of two he's worked with Diana Ross, Quincy Jones, Michael Jackson, Mick Jagger, Josh Brolin, Barbara Streisand, Sherilyn Fenn, Martin Landau, Christopher Plummer, and so many more. 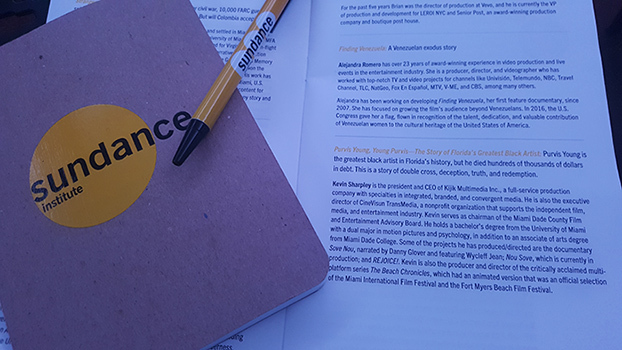 We're proud to have had our documentary (in progress) selected for the Sundance Documentary Story Development Workshop! Click on the image for details. 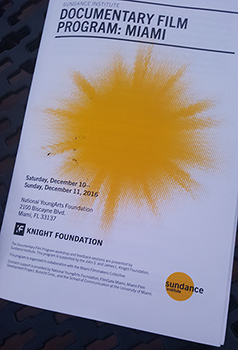 KijiK Multimedia President/CEO Kevin Sharpley participates in the Miami Film Festival "A Conversation With Cheryl Boone Isaacs". At the time Mrs. Boone Isaacs was the President of the Academy for Motion Pictures Arts and Sciences, the organiztion that puts on the Acedemy Awards. Kevin Sharpley on stage with Miami Film Festival Executive Director Jaie Laplante and Mrs. Boone Issacs. Both Mr. Sharpley and Mr. Laplante listened as Mrs. Boone Isaacs spoke about her storied career and asked questions in the process.